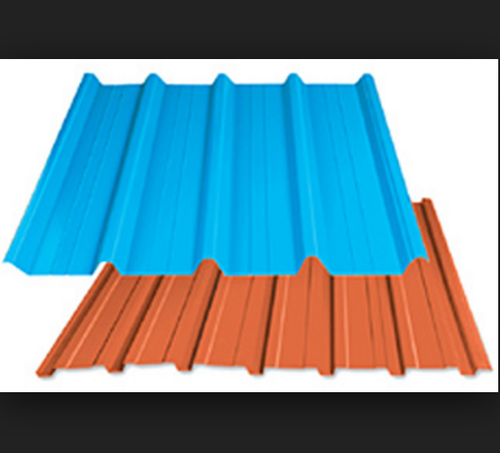 We are engaged in manufacturing and supplying a wide range of Galvalume Roof Panels. The panels offered by us are manufactured using high-grade raw material, which is procured from the reliable vendors of the market. These panels are manufactured in various sizes to meet the variegated requirements of our clients. surface : big spangles . regular spangles, mini spangles, zero spangles, skin pass, oiled, un- oiled, chromed. We are the Largest Manufacturers and Supplier of Galvalume Roof Panelsin India, South India,Tamil Nadu at Coimbatore, Madurai, Salem, Erode, Tirupur, Kanya kumari, Tirunelveli, Dharmapuri, Tuticorin, Nagercoil,Trichy, Dharmapuri, Pudukottai,Krishnagiri, Hosur,Thanjavur, pattukottai,aranthangi, aruppukottai, rajapalayam, sivakasi, koilpattai, tenkasi, viruthunagar, dindugal,mettur, sathur, and all over tamilnadu.